‘Youth are the future torch bearers’. These words resonate that the kind of impact the youth put on the masses can not be done by anyone else. 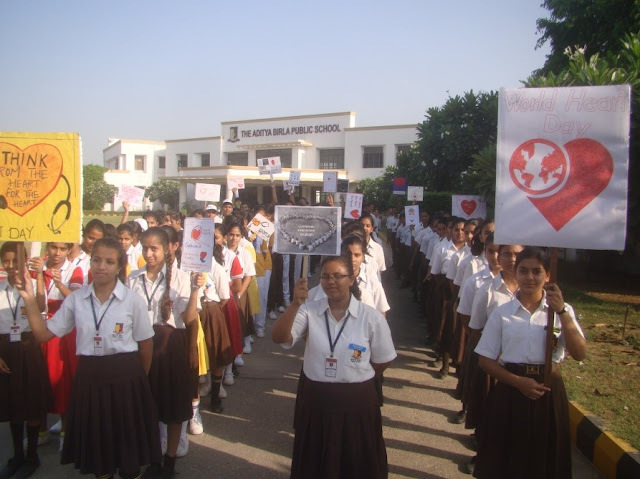 Keeping this in mind, The Aditya Birla Public School, Kotputli, organised a campaign on ‘Addiction Free World’ in Mohanpura village on 10th September 2016. All the Bronze Award participants took part in this campaign. The participants were accompanied by the Award Leader and three other teachers. The rally was organised to make the people aware of the adverse impact of drugs, smoking and drinking alcohol. 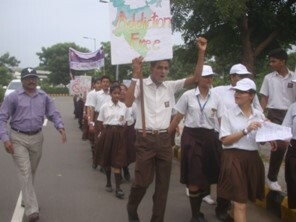 The participants ran the slogans and also discussed the impact of the different types of addiction. After returning to school, the participants addressed the school staff, including the drivers, conductors and sweepers about the negative effect of smoking, drinking liquor and taking drugs. A small skit was also prepared by these participants on creating an Addiction Free World. All members of the support service staff were greatly inspired by it. Participants were also guided and mentored by the Principal, who gave suggestions on how to overcome these addictions. Another rally on ‘World Heart Day’ was organised in nearby Mohanpura village on 1st October 2016. Forty Bronze participants took part in this rally and five mentors accompanied them. This rally was organised to make people aware of healthy food habits, the causes of heart problems and how to overcome them. 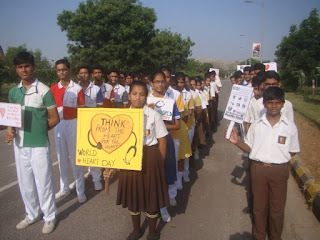 During the rally the participants gave different slogans on the theme of healthy habits, causes of different heart diseases and also addressed the local inhabitants. The participants also had a discussion with elderly people of the village and gave them suggestions on how to take care of their families and protect them from different heart related problems. The villagers seemed inspired and promised to take care of their health in the future.